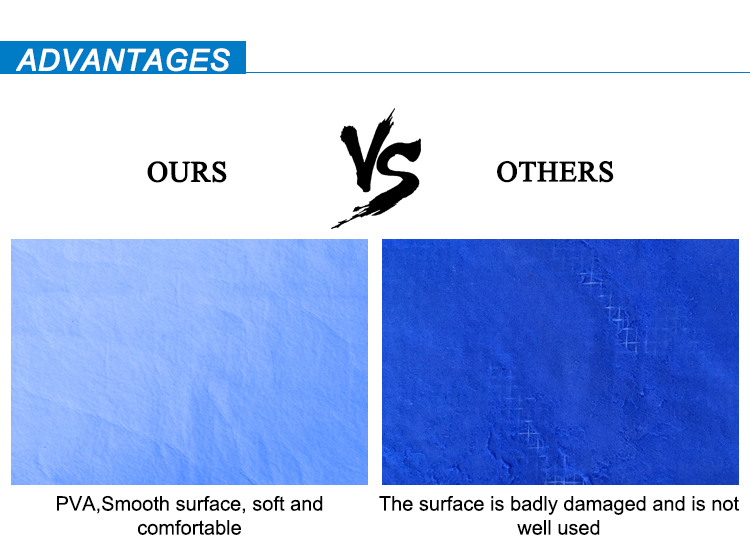 2.Soft gentle touch feeling,suitable for skin care. 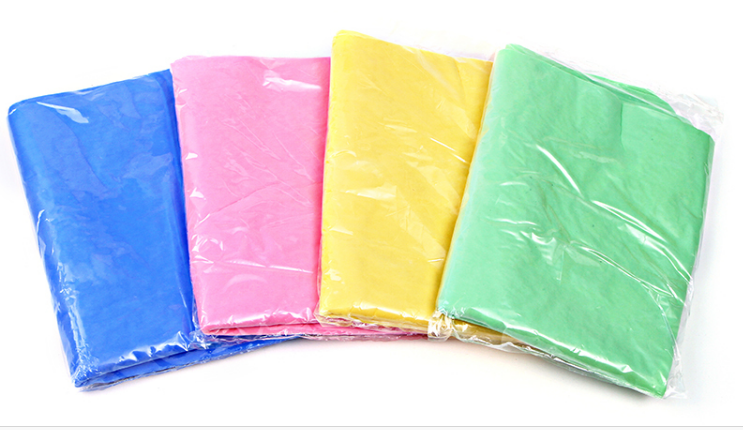 4.Anti-tear anti-bacterial totally durable and safe. 5.Clean without water trace,best car washer. 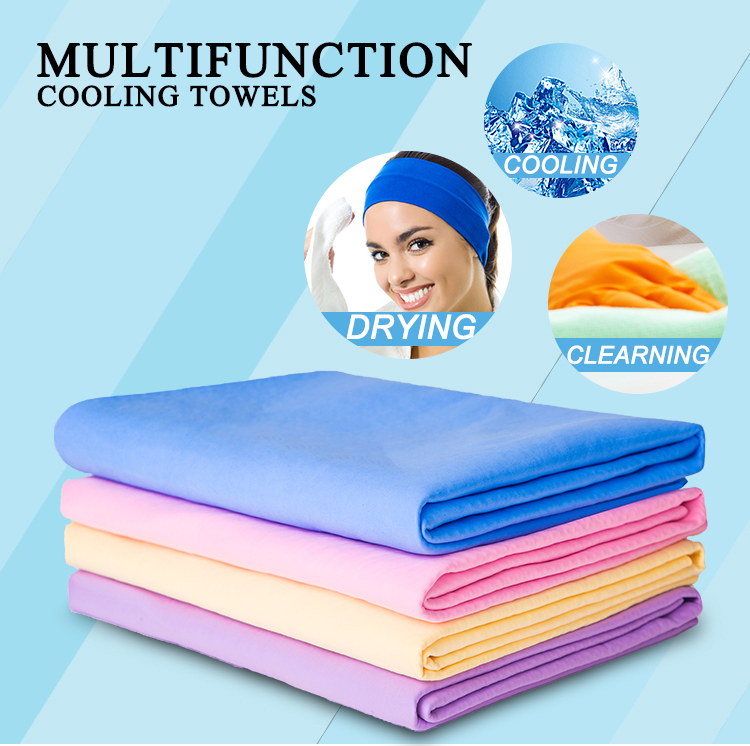 6.Customized for promotional towel use. 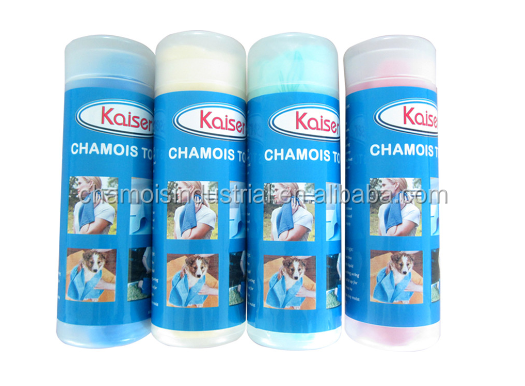 7) Is it safe to use on pets? Yes, that is eco-friendly to human and pets. 8 ) How long does it stay wet? 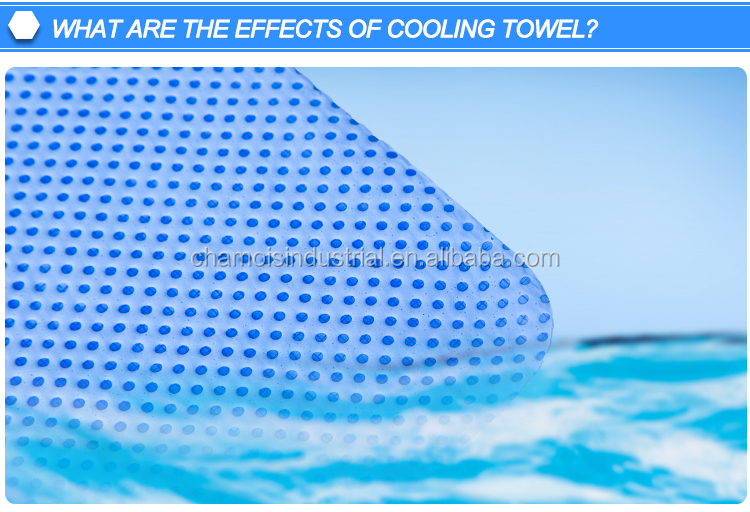 Usually it can lasts 2-3hours cooling, if gets dry, simply soak in the water it is cool and soft again. 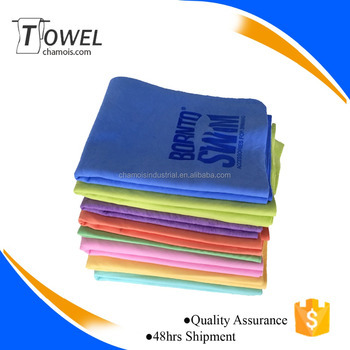 9) Can I have the name of my company, printed on the towel, or include a paper with company name in the packaging? 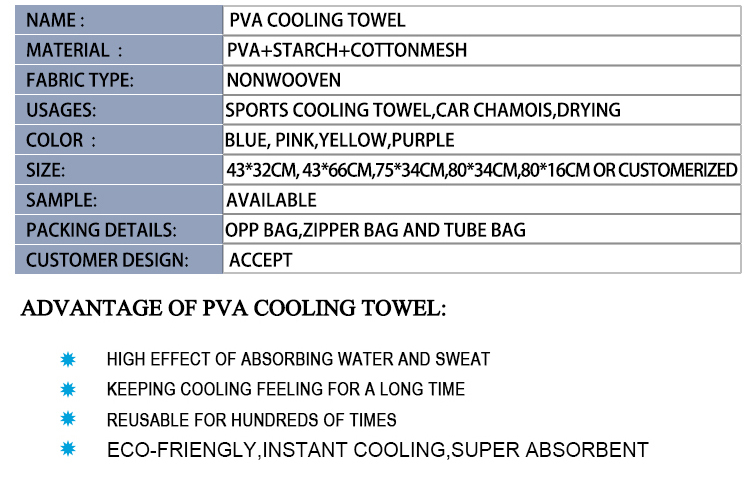 Customerized label on the package acceptable, you can also branded your logo on the towel. 10) How long is production? For MOQ 2000pcs, it takes 25days production. 11) can you supply a "quality Control checklist”? We got a material safety report for you reference. 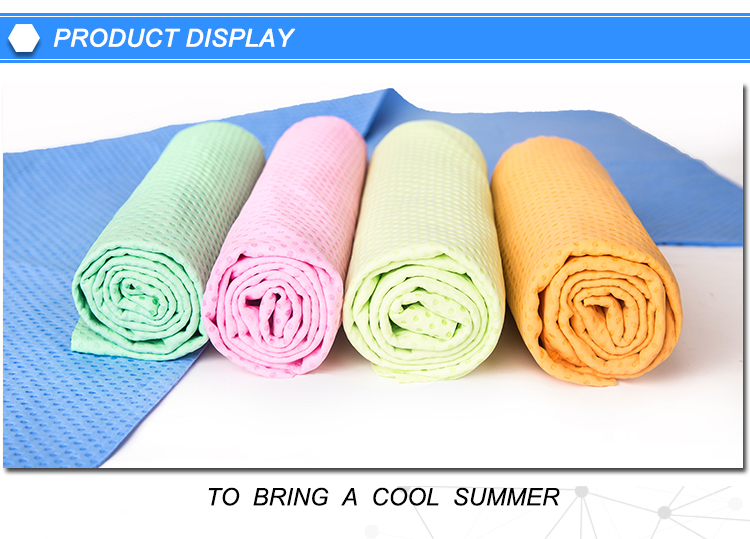 this productions is just made of pva, streach and cottonmesh. 12) Do you charge for samples?